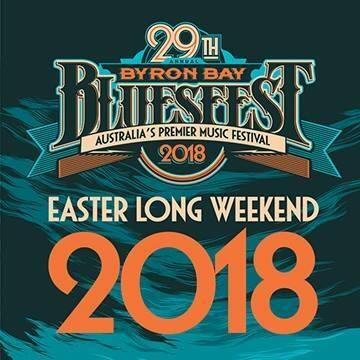 Australia’s biggest contemporary blues and roots music festival is back this April for another exciting Easter weekend on Byron Bay. Byron Bay Bluesfest features more than 200 performances on 7 stages, taking place over 5 thrilling 12-hour days of nonstop live music. Some of the best and biggest music artists in blues and roots will be performing, with a number of internationally-known names as well as hot local talents on the roster. The annual Byron Bay Bluesfest is now in its 29th year this 2018, expected to be bigger and better than ever before and offering one of the hottest line-ups to date. Lionel Richie is on the program as one of the main headline acts, as well as Robert Plant and The Sensational Space Shifters, geared up to celebrate the 50th anniversary of Led Zeppelin’s first-ever performance with a number of unmissable Led Zeppelin classics live and sung from the frontman himself. Also on the roster include big names Lauryn Hill, Kesha, The John Butler Trio, Tash Sultana, Sheryl Crow, Jose Gonzalez, First Aid Kit, Newton Faulker, and CHIC with Nile Rodgers. Byron Bay Bluesfest is expected to deliver more high-energy performances from the biggest artists in popular music and one of the best festival experiences this 2018. Also performing at Bluesfest include Seal, Jackson Browne, Melissa Etheridge, Gomez, Michael Franti and Spearhead, Jimmy Cliff, Asgeir, Jason Isbell and the 400 Unit, Youssou N’Dour, Juanes, Seu Jorge, Rag’n’Bone Man, Morcheeba, Gov’t Mule, The New Power Generation, The Original Blues Brothers Band, and many more. Byron Bay Bluesfest will take place at a whopping 120-hectares of land at the Tyagarah Tea Tree Farm, just north of Byron Bay. 5 licensed bars will be available on the premises as well as market stalls, undercover food courts, beer gardens, and a variety children’s entertainment. Since its inaugural event in 1990 to a crowd of 6,000, Bluesfest now attracts an audience of over 100,000! Don’t miss the premier festival for blues and roots in the country as well as one of the most sought-after music events taking place this Autumn! Bluesfest takes place on March 29 until April 2.